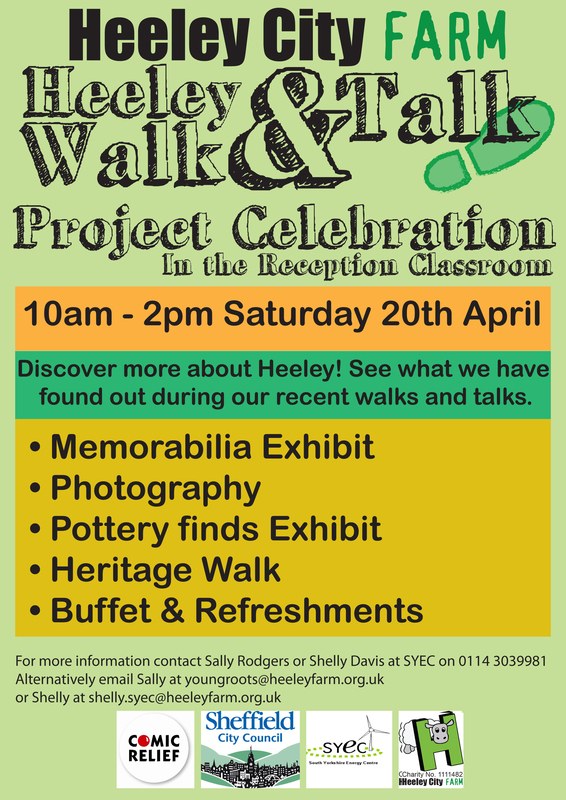 Heeley Walk and Talk Project Celebration – 20th April 2013 | IT'S HAPPENING IN HEELEY! Come and join us on Saturday 20th April for a celebration of our new Heeley Walk and Talk Project which starts its second phase next month. The project began in January with weekly local reminisce walks and coffee mornings led by the Heeley City Farm Health Champions, Community Heritage team and Older Wiser Warmer team and funded by Sheffield City Council. We invited past and present Heeley residents and people with memories of the area to join us for a chat, to share photos and record local memories which will all be combined to produce a programme of local walks with a difference.